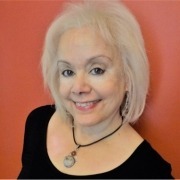 Dr. Gilah Rosner has over 35 years of experience developing, implementing and directing educational programs both in medicine and in spiritual communities. After graduating from Northwestern University, Dr. Rosner completed her M.S. degree in Clinical Biochemistry at University of California, San Francisco, then earned her doctorate at Northwestern Medical School in Experimental Pathology, followed by clinical fellowships in Hematology, Immunopathology and Molecular Genetics. Her first faculty appointment was at the Cleveland Clinic Foundation, where she won a grant from the Naval Medical Research Institute to implement one of the first DNA testing laboratories for the National Marrow Donor Program. This work was expanded at the University of Pittsburgh Medical Center (UPMC) where she served on the faculty for 8 years. But after the terminal illnesses of both her mother and father, who died 10 weeks apart from different cancers, Gilah’s interests shifted toward spirituality and practices for healing and wholeness. While still at UPMC, she trained as a pastoral care intern, and was Co-Founder and Co-Director of the Shalom Network – a community-wide cooperative of professionals and lay people in medicine, psychology, social services, education and pastoral care that provided opportunities for interactions, referrals, personal development and interdisciplinary collaborations. Later Gilah served as a founding board member of a women’s spirituality center, Education Director in a synagogue, and Director of Special Programming for a school of Kabbalah. Gilah is trained to teach both Kundalini Yoga and as a Community Herbalist. For 8 years, Gilah was the resident manager of Sanctuary Retreat Center, an ecumenical spiritual venue in rural Maryland, where she facilitated holistic and spiritual retreats and workshops, engaged in rituals, teaching, singing, meditation, gardening, wildcrafting and preparing herbal remedies. A lifelong epicure, home chef, caterer and nutrition enthusiast, Gilah delights in teaching others about the art and science of eating well. In 2016, Gilah formed Four Worlds Wellness, LLC, to provide integrative health and wellness education and coaching to individuals and groups. 2016 also marks the beginning of a very fruitful and rewarding collaboration with Gilah’s dear friend and business partner, Dr. Joan Borysenko. 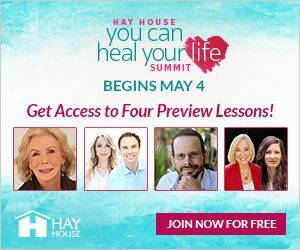 Together they have created the SyNAPSE program – a personalized plan for health and wellbeing that integrates science, nutrition, awareness training, positive psychology, spirituality and epigenetics.